What a year it has been for CLIQX and we’re not even half way! Australia’s leading print industry award show, the 2016 Media Super National Print Awards took place in Melbourne this month and saw another two awards going to CLIQX crafted print pieces. Watermarx scooped a silver for the Cox Architecture Sydney invitation which is collecting accolades internationally! Again, the beautiful embossing result that CLIQX technology achieved for us was recognised by a giant of the industry. We also took home a bronze award for another print job that was embossed with CLIQX. 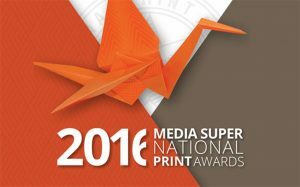 For more than 30 years, the National Print Awards has been setting the benchmark for excellence in print in Australia. The night celebrates the talents of the industry with 250 printers and industry professionals gathering to pay tribute to the best in the business. You can view the award book here. We hope to continue the incredible momentum we have been riding this year. Stay tuned for more CLIQX news, or get in touch with us to discover how CLIQX embossing can help give your next print job an award winning result! Watermarx have teamed up with BJ Ball again to produce a beautiful sample set of GMUND Cotton stock. It includes a box, a swing tag and a business card, showcasing how well this luxury paper stock lends itself to foil-stamped letterpress, blind emboss and deboss embellishments. If you haven’t seen it yet, get in touch with your rep at BJ Ball! In the interview below, we spoke to our friend, Tony Betrand, the National Sales and Marketing Manager, about the success of this project. WMX: So, what’s the story behind this collaboration? TB: GMUND Cotton is unmatched in the Australian marketplace and therefore we needed to work with a partner that was equally as passionate about the product. Watermarx was a logical partner as the work they do is of equally high standard. 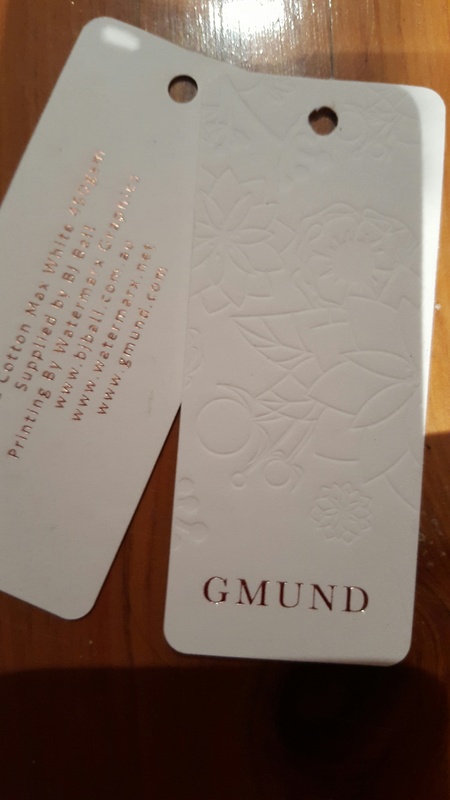 What should designers know about this GMUND range? GMUND Cotton IS 100% cotton – beware of imitations! The luxury feel of GMUND Cotton is truly unique and the print quality outstanding. It’s the only cotton product recommended for offset printing as well as dry toner digital, letterpress, hot foil stamping and embossing. There is no question that GMUND make amazing quality products and their Cotton stock is no exception. It’s s available in 7 colours and 4 weights (110gsm, 300gsm, 450gsm and 600gsm). Foil stamping comes up superbly, as you can see in the sample set created by Watermarx, and designers (and their clients) will love the end result. Plus, it’s widely available across Australia through BJ Ball. Why did you choose Watermarx to help with this project? We have collaborated with Watermarx in the past and find that working with Ange and Al is always such a great experience. The technical experience that Al brings to the project is extremely valuable and the attention to detail is what makes Watermarx the outstanding letterpress printer that they are. BJ Ball have GMUND swatches and our wonderful GMUND promotion pieces available for those interested in using the product. Just email info@bjball.com.au and they will bring it out to you.